Verizon continues to hold out on giving us any sort of official release or pre-order date for their version of the Samsung Galaxy S4, even after almost every other major carrier in the U.S. has announced an in-store date. 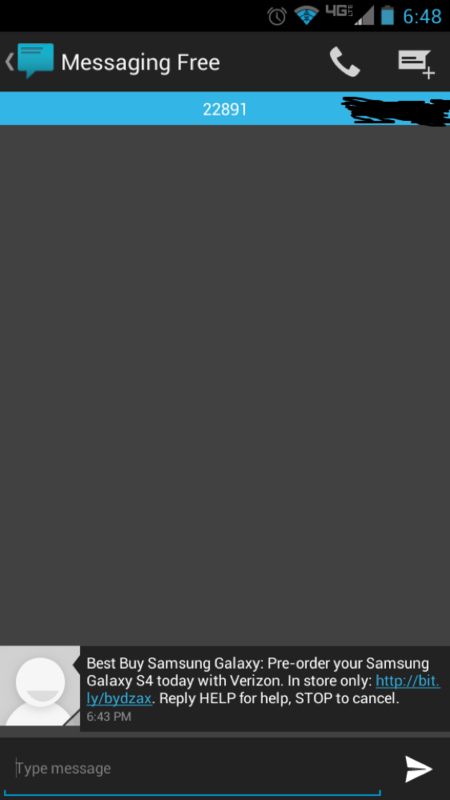 The only thing we know for sure, is that it’s coming in May and you can sign-up through their site to be notified of future happenings. Not much, right? Thankfully, we have Best Buy. 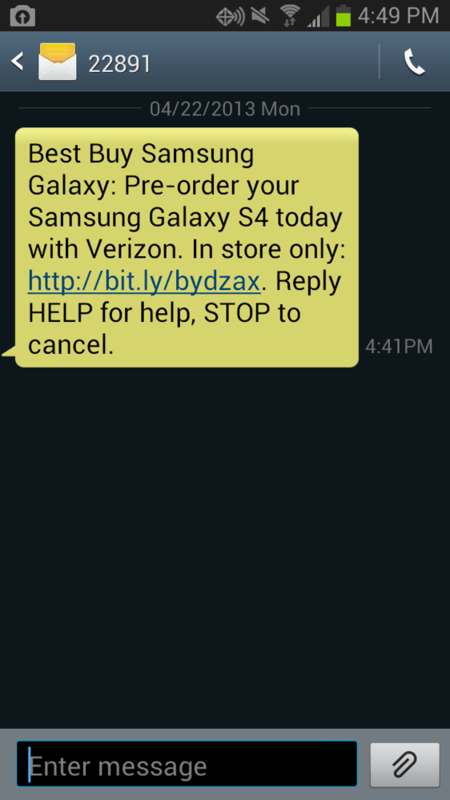 According to text messages sent to a variety of DL readers, Best Buy is notifying customers that they can stop by their local BBY store and pre-order the Verizon version of the Galaxy S4 as early as today. I would imagine that they aren’t providing a launch date with pre-orders, but are instead telling customers that they’ll have one reserved for whenever that day arrives. We also aren’t sure what they are asking anyone to put down. So far, there are few details for Big Red’s GS4, including price, however, we would imagine we’ll see the 16GB version at $199 on contract and the 32GB version at $249. Anyone stopping by Best Buy this evening to pre-order? If so, be sure to let us know the details. Cheers Kyle, Marc, and Joe!